There is no doubt that creatures are vanishing from the earth; with so many different species in the world some extinctions go unnoticed. 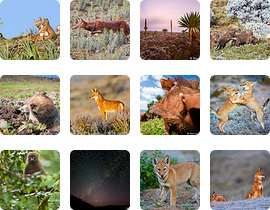 Documentary wildlife photographers are in the unique position to raise awareness of species and the biodiversity needed to help them thrive. 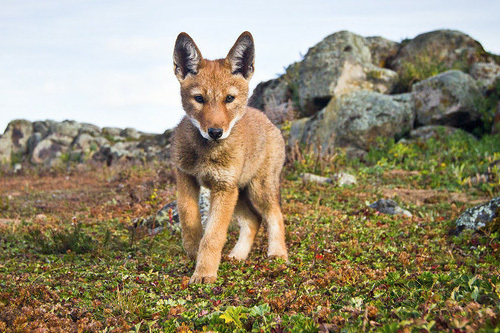 The Ethiopian wolf is one such species at risk. It is estimated that less than 450 individuals in six populations remain in the wild today. Increased human encroachment is putting pressure on habitat and resources the wolves depend on for survival. Introduced disease from domestic dogs, isolation of gene pools and habitat loss to grazing are some of the issues facing this species. Subscribe to our newsletter to follow our progress! You may also want to follow @EWproject on twitter and become a fan of our Facebook page.